Using trail cams to capture photos of live whitetails seems to be a growing trend among New York deer hunters. In some cases it is the only time that a particular trophy buck is seen by the hunter. Many hunters have even harvested the buck that they have captured live on camera. If you have a good trail cam pic or pics... we'd love to have them to share with our visitors to the site. By using the form below you can upload you trail cam pics for others to see. All we ask is that the images are of good quality and are in jpeg or gif format. 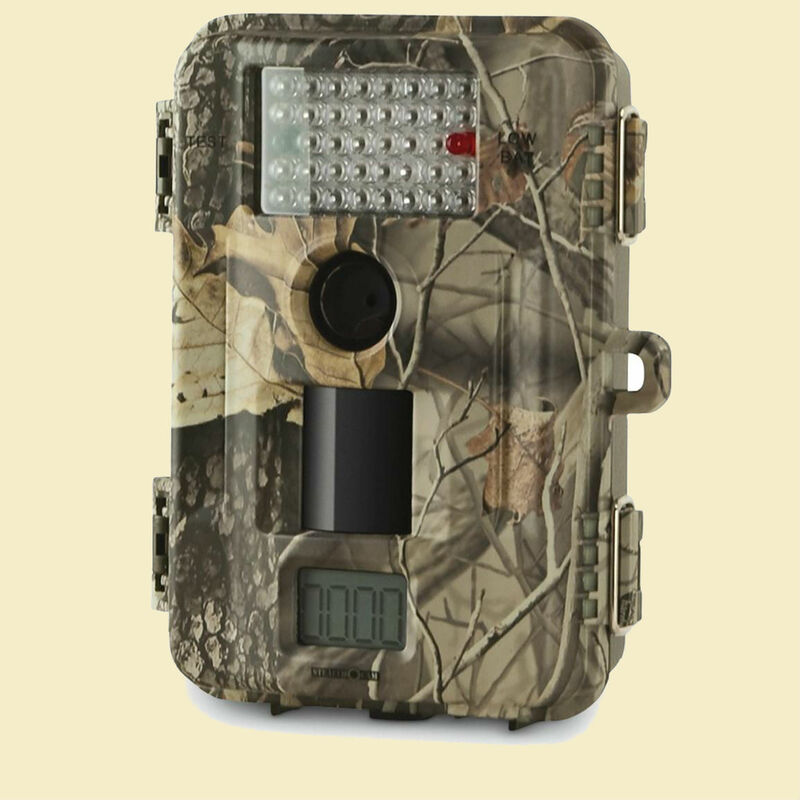 You can also tell us a little bit about the pic if you like... maybe even let us know what kind of trail cam you are using. Please use quality jpeg or gif photos. Your text will appear on the page exactly the way you enter it here. Click the button and find the first pic you want to upload from your computer. Select it and click on the button to choose it. Bought my first game came back in 2011 tied it to a post at 10 pm in my back yard and beginners luck... first and only time ever got him on camera. This huge 8 point showed up at 3 different spots , even at 8:20 am, on Thanksgiving day.been spotted numerous times at night. This huge 8 point showed up at 3 different spots, even at 8:20 am, on Thanksgiving day. Been spotted numerous times at night. Hopefully he will be around next year. This ten pointer has come back for a visit in our backyard. We have seen tracks all around the house but was able to capture him on my trail cam. I believe he was harvested as a 14 the following November. I had my camera out and I checked after it was out for a week and this is what I got. This big six point has been running around at my farm for about 3 years and he was found dead...hit by a car. He was around 4.5, 5 years old. I thought this doe was about to be beamed up to a UFO,,, until I realized I had two cameras go off at the exact same time. This bruiser may have gotten injured in velvet. I threw apples out hoping to get a pic of the deer that have been seen in my backyard. I guess foxes like apples too. my biggest deer I have ever taken, And the trail cam pic of the buck I named "Holy Crap"!!!. I've been able to spot him a few times from the road, but this is the first time I've got him on camera. Taken in our backyard in Parsippany, NJ (no hunting)early 2013. Nobody harvested this guy in 2012 either. This is the only look at him. He's out there somewhere yet. 11PT GIANT SOFFOLK COUNTY IM AFTER! I have pics of this same Monster from last year. This photo was taken less than 100 yards from where I got photo's of him last fall. My trail camera caught this doe at just the right angle and at just the right moment, that it looks like she has no head. I only got one picture of this deer and seen him during the rut chasing a doe across the field. In my hunting area this season! Have been seeing this deer quite a bit on the farm. Looks like a nice buck but I'm having trouble aging and scoring him. Any guesses?